It?s a very common tactic to create rogue antivirus products that have a similar name, look and feel as the legitimate security software. Microsoft has warned Windows users to be on their guard against a piece of rogue antivirus software passing itself off as Microsoft Security Essentials. 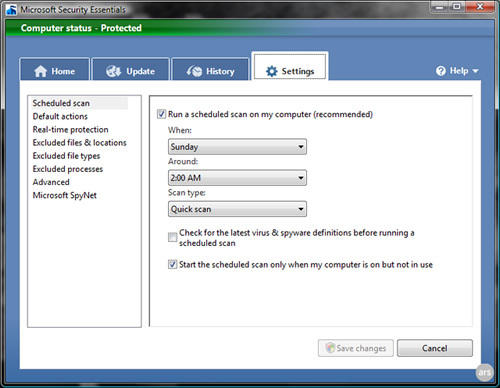 Security Essentials 2010 is a piece of software Microsoft said installs a fake virus scanner on your machine and monitors and blocks processes it doesn?t like. The software will also block access to websites of antivirus and malware companies and flag up a warning message. This is common with most rogue software that installs Trojans and Malware. Security essentials 2010 blocks access by downloading a Win32/Alureon component and another Layered Service Provider component, Microsoft?s David Wood wrote on the company?s Malware Protection Center blog. ?This LSP monitors the TCP traffic sent by various Web browsers that the user might have installed, and blocks any traffic to certain domains,? Wood said.